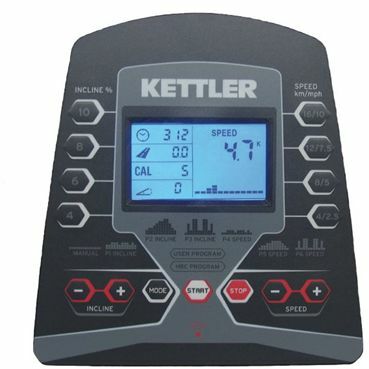 Kettler fitness equipment is renowned for their high quality, German engineering. As such Kettler treadmills typically attract a premiums and we’re really surprised to be reviewing a Kettler treadmill being sold at under £700. Have Kettler decided to abandon their quality obsession to make a cheap treadmill? 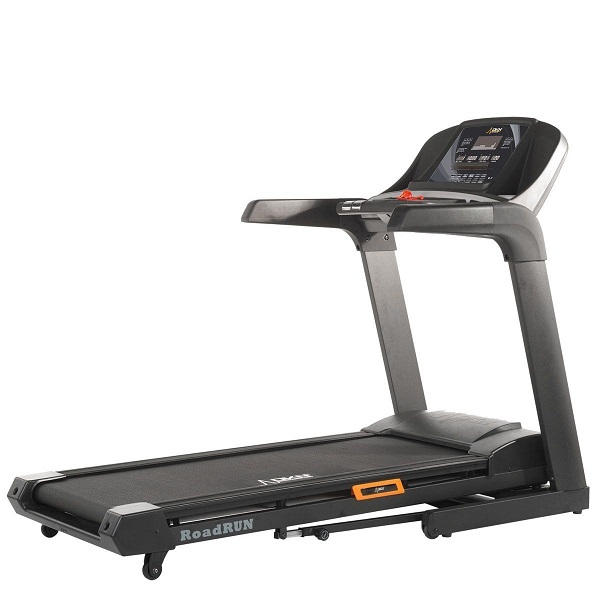 Well, a bit of research online shows that this treadmill is actually only being offered at this price point because of a couple of retailer special offers, rather than a move by Kettler to compromise on their quality and manufacture a ‘cheap’ treadmill. 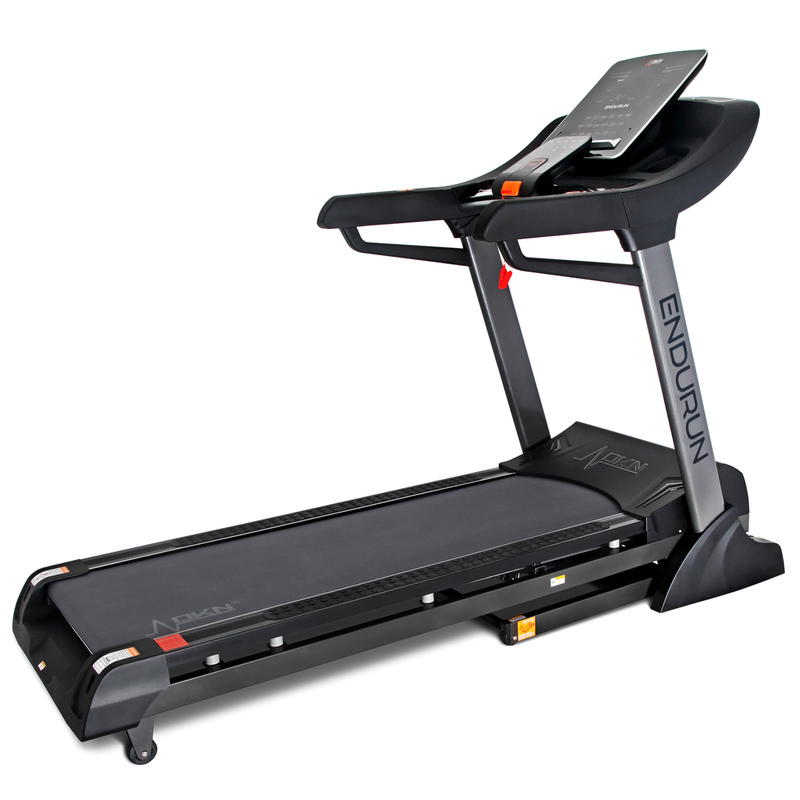 At the heart of this treadmill is a 1.6 HP continuous duty with a decent peak power of 2.8 HP. 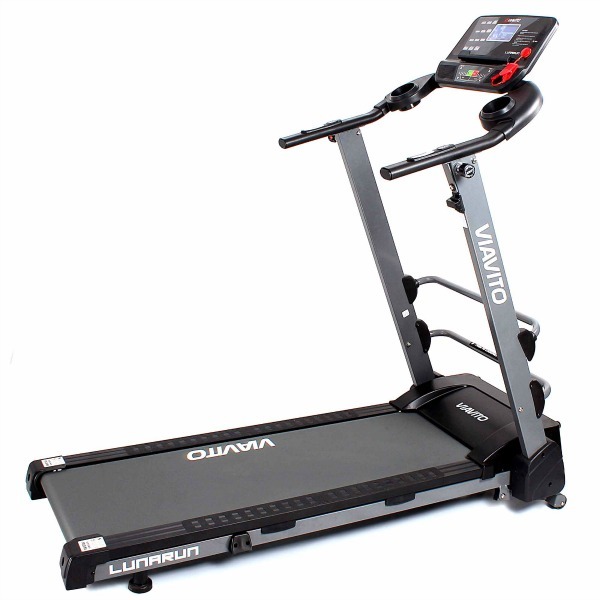 It’s a quiet motor and provides ample power to quietly drive the belt all the way up to the treadmill’s maximum speed of 10 mph. 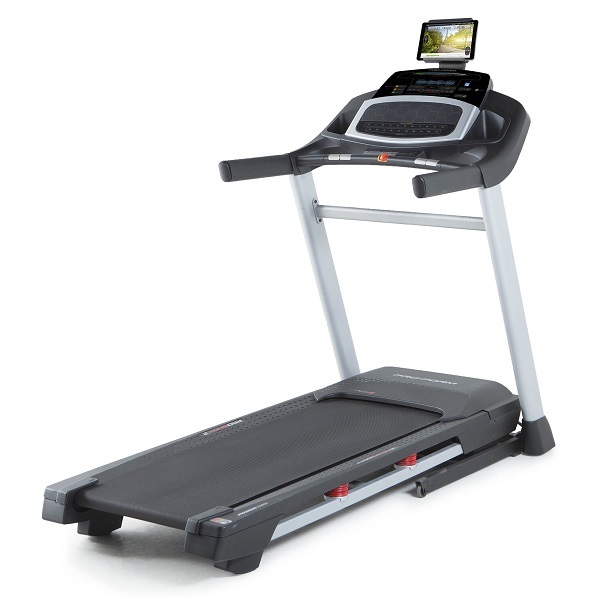 The treadmill also offers a 0-10% power incline function. 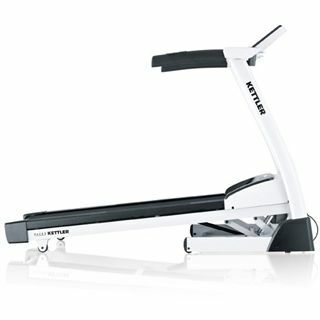 The running deck on the Kettler Pacer is 45cm wide and 132cm long, which is a little smaller than other ‘full sized’ treadmills. This is due to this treadmill actually being relatively compact in size. 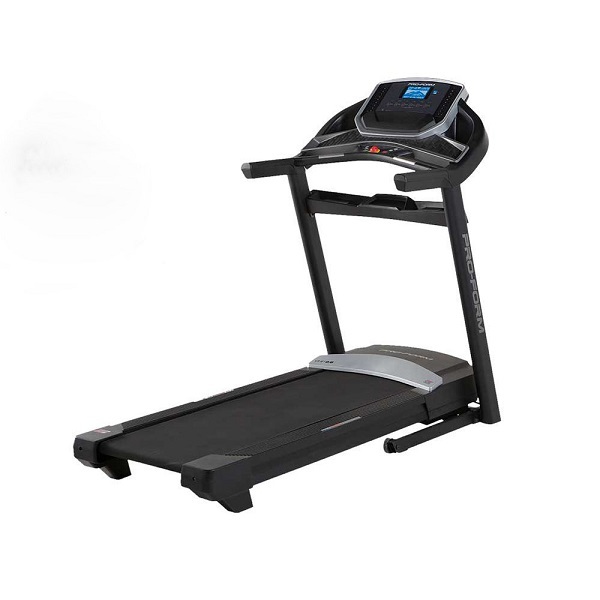 We do, however, really like the fact that the running belt is still nice and wide and the length of the deck means that this machine is easily suitable for all runners under 6′ 2″ in height. The deck is well cushioned and treadmill feels solid and stable when being run on. This in no small part due to the machine itself being heavy duty and weight some 90-odd kilos. The console is quite compact and features very easy to use controls. At it’s center, the console has a clear blue LCD display that provides essential information such as distance covered, speed, pulse rate as well as the programme profile. There are 3 quick speed keys and 3 quick incline keys that enable the speed and incline to be changed with single presses. Heart rate measurement can be done via the standard pulse grip sensors (not very accurate) or by using an optional chest to get ECG accurate heart rate readings ustilising the wireless receiver bult into the console. In terms of programmes, there are 3 speed based programmes, 3 incline based programmes as well as a user defined programme to ensure flexibility as your fitness levels improve and more challenging workouts are required. 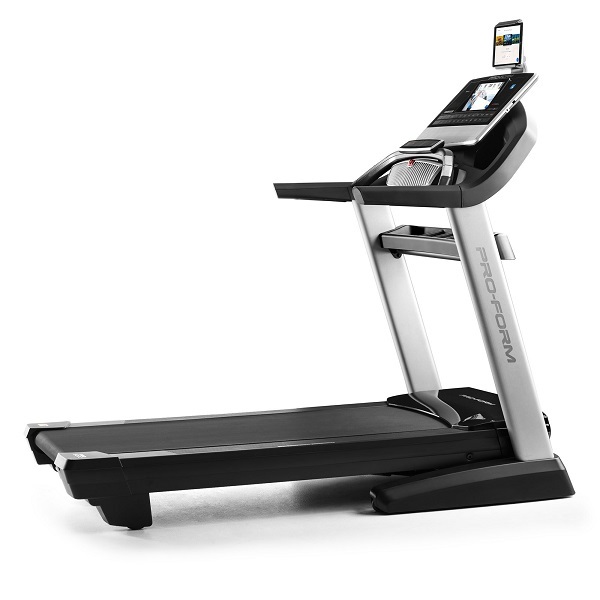 We’re particularly impressed that this treadmill has a heart rate controlled programme (requires optional chest belt) as heart rate control training provides the most efficient means of carrying out goal specific training. As with all Kettler machines, a full 3 year year parts & labour warranty is provided Kettler, though given the quality of their machines, you’re unlikely to be calling on it. The Kettler Pacer is a perfectly nice, compact machine. The main problem is the current price being asked for it. 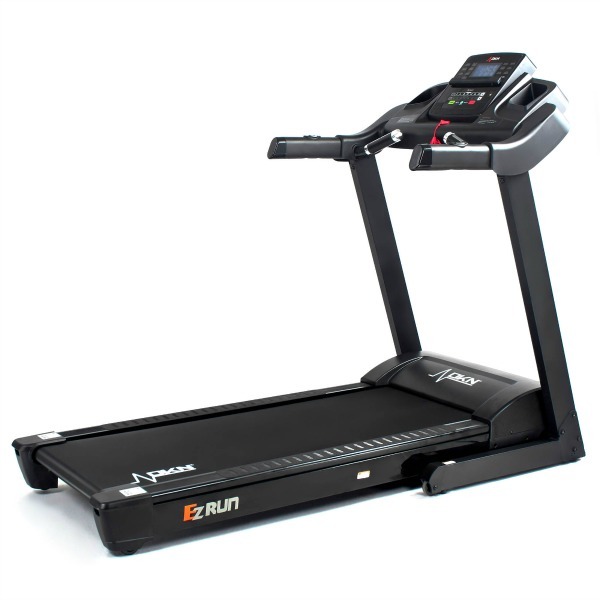 Instead, we'd recommend spending less than the cost of a pair of running shoes more, and getting the excellent DKN EzRun, which has a steeper incline, larger motor, higher top speed, interactive training options and a larger running area just for good measure.